SPACE2.0 creates high-performance smart buildings. A high-tech solution, ready-made connected buildings for our demanding and fast-paced times. SPACE2.0 is more: faster, more sustainable, healthier and more efficient than any traditional construction process. SPACE2.0 is a highly versatile building platform. It can create family homes, resort rooms, seniors living, assisted living, offices, child care centres, schools, clinics, assembly halls, just to name a few. The combination of our 60 and 100 square meter modules can create whatever is needed to create the perfect space. Whatever you come up with, we would like to hear what we can create together. Tektum’s SPACE2.0 offers a cost effective, flexible, adaptable and rapidly deployable housing solution. The product can be transported by road, rail or ship, can be produced in huge volumes and can be on site within a few weeks of order. It will be ready to occupy within a couple of days of arrival on site. The size, layout, finishes, aesthetics, acoustics and thermal insulation properties make it highly attractive to the occupant. The environmental sustainability, safety and universal access initiatives make it attractive to Government and Corporate purchasers alike. The longevity, reduced power, water and maintenance requirements make it universally attractive. Manufactured predominantly from renewable, recycled or recyclable materials, SPACE2.0's energy performance is exceeding current sustainability benchmarks. All SPACE2.0 models are constructed with high performance insulation, double glazed thermally-improved windows, natural cross ventilation, large roof eaves, rain water recycling, Compact flourescent lighting as standard inclusions. All of these benefits significantly reduce ongoing energy costs for the home owner. Photovoltaic arrays, rain water storage systems, underfloor heating and LED lighting are available as upgrades to further enhance SPACE2.0 ’s environmental performance. Available in a range of models from studios to four bedroom houses, from hotel rooms to commercial offices, SPACE2.0 is designed to maximise flexibility to suit your requirements today and into the future. 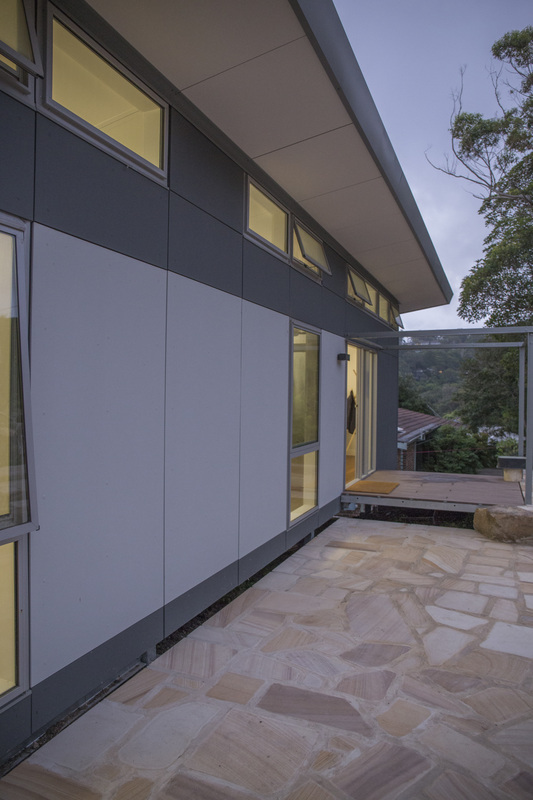 Two bedroom houses can seamlessly ‘grow’ into four bedroom houses; bathroom and kitchen modules can be ‘exchanged’ to achieve full compliance with the Australian Standards for access and mobility AS1428; studios provide that extra space for your home office, guest accommodation or teenage retreat. Hotel room type accommodation for remote sites deliver high quality spaces to the resort and mining market. Commercial spaces like office, cafés, shops or medical treatment rooms can be generated from our system with ease, and at very attractive rates. Offered in a wide range of colour options and combinations for external facades and internal finishes SPACE2.0 is highly customisable to your needs. Tektum’s unique patented modular facade system, enables SPACE2.0 to be optimised to suit each individual site. 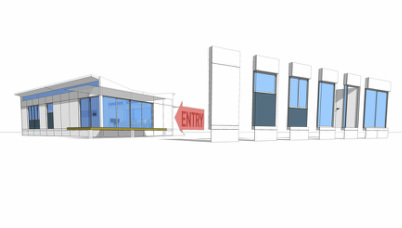 A range of interchangeable door and window panels and options on entrance locations, enables SPACE2.0 to be optimised for solar orientation and the diverse demands of Australia’s climate. Pier footings and a consolidated infrastructure core for connection to available utilities, minimise on site works so SPACE2.0 can be easily installed on even the most challenging sites. With its patent pending folding mechanisms SPACE2.0 is fully operational and ready to occupy within a few days of delivery to site. Designed to protect its occupants SPACE2.0 sets new standards for a safe and comfortable living and working environment. All SPACE2.0 models are constructed using safe materials, non slip tiles, electrical safety switches (RCD’s) and task specific lighting. SPACE2.0 can also be customised as required to address environmental threats such as cyclones, bushfires earthquakes and floods. SPACE2.0 is also a healthy building. Interior environment quality is optimised. Paints, glues and materials used are to the highest standards. The most dangerous threats to human health in domestic environments are addressed. Toxic materials like Volatile Organic Compounds and Formaldehydes are practically eliminated. Engineered solutions guard against mould build up, dust mites and many other organic threats. SPACE2.0’s base model achieves the gold standard of universal design guidelines established by the National Dialogue for Universal Design, making it one of the most accommodating buildings available in the Australian market. SPACE2.0 will help solve the housing affordability crisis by applying lean manufacturing techniques to dramatically cut the cost of housing. Economies of scale will reduce material wastage and optimize purchasing efficiency. The factory-manufacturing environment will ensure the highest standards of quality control; guarantee timing and minimize price for the customer. The design and engineering of SPACE2.0 has been informed by the need to make the house a manufactured product. This approach aims to eliminate any construction methodology from the production process. Only this manufacturable design allows for the necessary scalability of a mass manufacturing process.